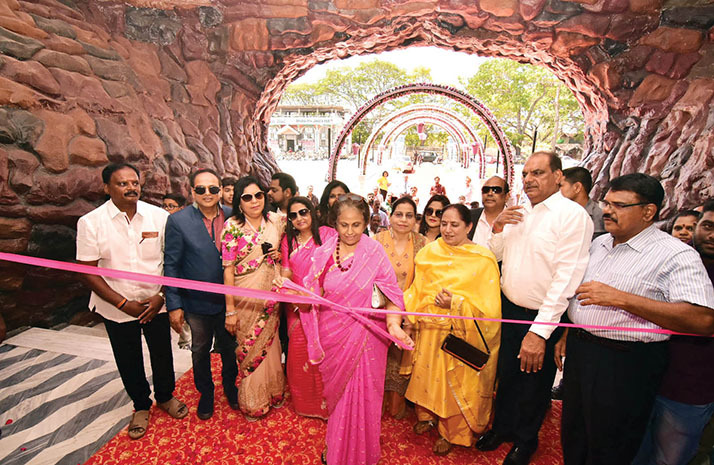 Picture shows Pramoda Devi Wadiyar inaugurating the ‘Snow City’ this morning. The Snow City will offer an experience in snow balling, mountain climbing, snow jumping, sliding, sledging, dancing, snow skiing and snow sliding along with DJ music in an area of 10,000 square feet. There is a selfie spot and a waterfall at the entrance. A demonstration of the interiors of Snow City was given to media persons this morning following the inaugural. For Mysureans, Rs.250 per head will be charged for a 45-minute session on working days inside the facility and on weekends, it will be Rs.300 per head. For tourists, Rs.300 will be charged on normal days and during weekends they have to pay Rs.350. Parking charges will be extra and cameras and mobile phones are not allowed inside. Visitors have to leave their valuables inside lockers and there will be an in-house cameraman who will supply photos on demand for a fee. There will be nine sessions per day from 10.15 am till 8 pm. 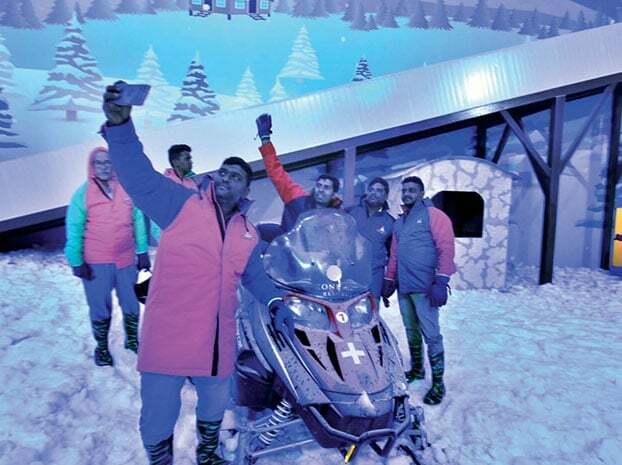 “Snow City Theme Park” partners Vinod Sabharwal, Sunny Sabharwal, Aravind Doshi, Yashwanth Jain and others were present. 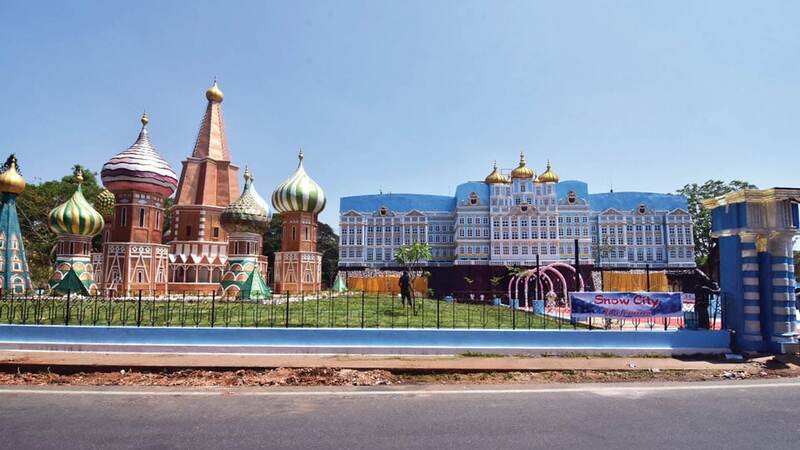 Quite excited about this new place of fun in Mysuru. Does this have any age limit? Only thing I don’t disagree with Modi govt is promotion of Selfie sick craze. Can anyone tell has it opened ? Can people visit from tommorow ?